When we bought Artemis we were told that she had been deregistered from the British Registry. That fitted well with our plan of registering her in Gibraltar. Little did we know that this was the start of a tragi-comedy that would take months to run its course. Our first information was that the Gibraltar Registry “only” needed originals of the bill of sale, the builders certificate and (of course) some money. The bill of sale wasn’t a problem but we had never seen a builders certificate. The broker and the previous owner also did not have it and we received information that “back then” there wasn’t always a builders certificate. We contacted the first owner and he had a photocopy of the certificate but wasn’t sure if he had ever seen the original. We now knew that it had once existed but it could no longer be found. Registering Artemis. Death by paperwork. 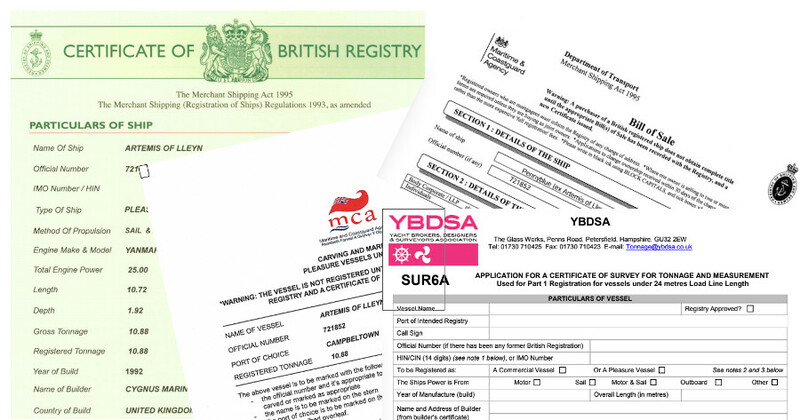 Instead of the original builders certificate, the registry was willing to accept a transcript of closure confirming that the boat was on the British Registry but has now been deleted. No Problem – the previous owner must have that. Nothing is that easy. The previous owner had deleted her from the registry but never received a transcript of closure so he had to apply for a copy which I eventually received. So now we had the two documents that are required as original documents. Back to the Registry. 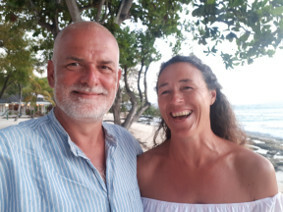 Then they informed us that they also need a survey of tonnage and a letter of seaworthiness from a surveyor who is a member of the Yacht Builders, Designers and Surveyors Association. The letter should have been easy; Colin had already surveyed the boat, is a member of the YBDSA and could write such a letter if some one told him what exactly they expected. I wrote to Rustler Yachts and they provided me with copies of copies of the builders certificate and original survey of tonnage. The Registry however requires a survey that has been issued by the port of Gibraltar. What does that mean? A Gibraltar Surveyor should go to Scotland? The boat should be transported to Gibraltar? At this point I gave up and just asked the experts to talk to each other. 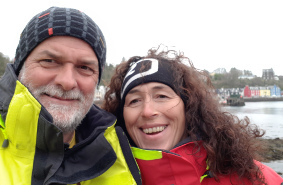 The Surveyor: Colin Brown from CB Marine Services was the person I fell back on when it all “became too much”. He did everything to try and jump through the hoops while keeping costs down. Professional and some one to be relied upon. The great advantage of having competent experts on your side is that they know what they are talking about and can discuss stuff you neither understand or want to. Only three weeks later and we finally had agreement about who was going to do what for whom to arrive at a survey of tonnage and a letter of seaworthiness that Gibraltar was willing to accept. The survey of tonnage was done. The information was sent to the YBDSA and they apparently sent it to the Gibraltar registry. The registry also received a letter of seaworthiness from Colin but they wouldn’t accept it because it listed the jobs that were currently underway. So I finally gave up on Gibraltar and decided to start again with the UK Registry. I received the information that all they needed was a bill of sale, a proof that I was British and (who would have guessed) some money. I sent all that and waited. The answer was that, because the boat had been deregistered from the British Registry, they now also needed a survey of tonnage and a new registration form. Luckily the survey for Gibraltar could be rewritten so I asked for that to be done and sent a new registration form and some more money. Then I received a letter from a second person at the registry asking me to pay the money I had already paid and saying that they couldn’t register a boat to an address with a “C/O” but I wasn’t allowed to use tippex. I changed the forms digitally and emailed them off again with no “C/O” in the address. At some point you really start to wonder if there isn’t a camera filming all this. A few days later I received an email from the registry. This was from a third person and partly disagreed with the information in the first email and in the letter. I wrote back asking that the three people (who, I assume work in the same building) sit down together and decide what they really need. After a further week I had still heard nothing from any of the three people at the registry so I rang and asked what was happening. After ten minutes of ringing tone and a further ten minutes of “grabbing the file” I was told “We have everything. We will send you a carving and marking note”. Shortly after and I received the note – for the wrong vessel, with the wrong number, wrong name, wrong port and wrong weight. I wrote back and received a carving note with the correct weight and correct number but the wrong name and port. Think positive. Fifty percent is now correct. We are getting there. I wrote back again asking for a completely correct form. In answer I received a form that was tantalizingly close to being correct. Only the port was wrong. And then a few days later I received a brief apology and a correctly filled out form. I immediately filled in the carving and marking note and sent it straight back to the registry. For a week nothing happened and then the correctly filled out Certificate of British Registry appeared in my letter box – only 20 weeks after I began trying to register Artemis. I was shocked that it finally worked out. The next day I wrote to the YBDSA and asked them for a copy of the Certificate of Survey for Tonnage that I had paid for. I received a PDF within 5 minutes and saw immediately that the depth and therefore the tonnage as stated on the certificate were different to those on the registration and on previous surveys. The UK Registry had completely ignored the certificate and just written out a registration using the previous values. What a great way to waste over three hundred pounds.